Open to Pitzer students only. Program options subject to change. Students must be in good standing at Pitzer College. ISEP requires students to have a 2.75 or higher GPA. The Pitzer College Study Abroad Application and the ISEP Application are both due by the Pitzer application due date. If accepted by Pitzer and ISEP students will then be asked to complete University forms. 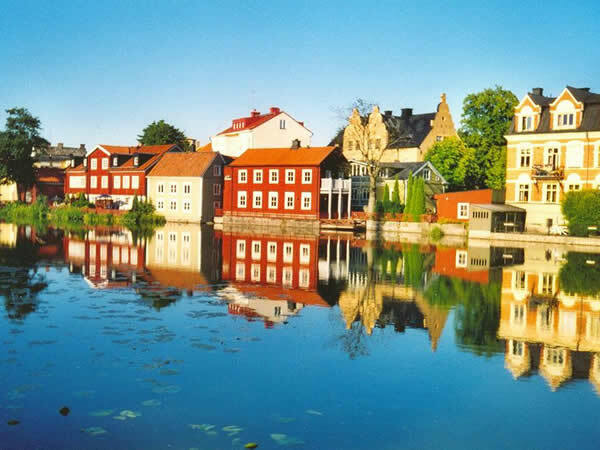 Students are expected to take a full course load including a Swedish language course and one course with content on Swedish history, politics, literature or culture. In addition, students take the Pitzer course MLLC110 Intercultural Learning: Portfolio Writing via Sakai. Students are required to take a Swedish language course. A Swedish language introductory course is offered. See a Study Abroad Adviser. Visit the ISEP website shown above, select ‘Academics’ and follow the Hints for Researching Courses. Students are housed in student residences halls or in shared student apartments. Cooking facilities are available. A stipend is provided for meals. The chance of placement is generally good.